At Educational Insights, our products are designed by seasoned educators and parents who know that, first and foremost, learning must be fun. Explore images up to 400x their original size with Tuff Scope! This two-in-one microscope is perfect for classroom projects or magnification on the go! Simply set up as a classroom station or remove the microscope from the base and send kids outdoors to explore. When used with the GeoSafari® Tuff Cam digital video camera, GeoSafari Tuff Scope transforms into a digital microscope, projecting magnified images onto a computer screen or projector. Also features 2x continuous optical zoom, transmissive and reflective LED lighting, and a storage drawer. This says for ages 5 and up, I let my 8 and 4 -year-old try it out. It is easy to use and assemble. There are 3 main parts, the eyepiece which is optional and can be used with the GeoSafari Tuff Camera, the Microscope which can also be used as a handheld and the Base. The microscope just snaps into the base, super easy. There are 3 zooming features, 100x, 200x and 400x which is clearly labeled on the dial. The microscope comes with 1 pre-made slide of cotton and 2 blank slides. The LED light can view transparent or non-transparent specimens. I like how it is small, easy to use and very durable. My little one has been carrying the handheld around trying to look at things. An additional feature, I hope to use in the future is hooking it up with the camera. I also had the chance to review the Talking Electron Microscope a while back if you would like to read about it. The latest release from the best-selling manufacturer of Smencils, Smens are gourmet scented pens made from recycled newspapers. Available scents include Red Licorice, Creamsicle, Aloha, Mystery Scent, Banana Fo Fana, Mocha, Passion Fruit, Ninja Berry, Pink Lemonade, and Black Licorice. Each Smen is individually wrapped in a stay-fresh biodegradable plastic tube and is guaranteed to keep its scent for two years. I remember when I was young, my dad would bring me home a grape smelling purple pencil from the flea market every time he went. I would always take them to school and all the kids would comment because it was such a strong scent. I love these pens, they all smell delicious, well except for licorice! My kids have loved using the Smens Pencils and now these pens. This poster is like 3D magic! when you look at it from different angles you can see all the different human body aspects. It is pretty big too, 19’W BY 27’H. This is definitely a thinking game! It took my 8- year-old awhile to try to come up with some words but we all had a fun time trying to beat each other. Plus we were playing for candy so that helped! We used this for my 4-year-old and gave him the goal of cleaning his room every night for a week to earn a prize, for him, it was new army pants(that’s a whole other post on kids and fixations!). He liked watching the puck inch closer to the top. I am going to use this more often with him, maybe try to break the habit of leaving his clothes all over the floor! I reviewed the Hot Dots Jr. alphabet not too long ago and my son just loves playing with it. 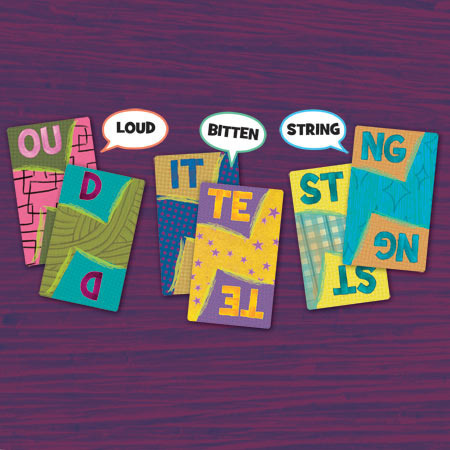 This set os just great so many different cards: shapes, numbers, letters and more. The cards offer different questions like match the uppercase to the lowercase or find the letters that match the ones in the box. It states that it is for 4-6, which he is in and to my surprise is getting allot of them correct! The Hot Dots Jr. Pen talks, lights up and even buzzes when he answers the questions. It lights up red and says incorrect, nope or sorry when the question has been answered incorrectly. Or lights up green and says, way to go, good job or you got it. The pen can be set up in the sound position for what you would like to hear, like sound effects or talking. The only difficulty we have been having is getting use to holding the pen straight up and down so it can read the dots. It is instinctive to hold the pen at an angle, which can cause an incorrect answer. Read the question, scan the possible answers, and slam the one that’s correct! Better move quickly, though, each game of 10 questions is timed— the faster you get through the questions, the better your score! Incorrect responses are recycled until they are correctly answered. Three levels, flashing lights, and fun sound effects keep players interested. I let my 8 year old try this out. I have been making him “play” with everyday now to try to get ready for school this week. If you watch the video there are several different play modes. I would like to see a game with multiplication, so we can practice the math facts. THIS GIVEAWAY IS NOW CLOSED – #274 DANA – I SENT YOU AN EMAIL! 1 winner will receive ONE OF EVERY GAME LISTED (GeoSafari Tuff Scope, Smens, Inside Out ™ Lenticular Human Body Poster , Kabam!, Ring the Bell Electronic Goal Tracker, Batter Up! Whole Class Game, Hot Dots Getting Ready for School Kit and Math Slam) (RV $236)! Thank You Educational Insights for this great giveaway! Disclosure: I was provided with product for this review. All views and opinions with regard to the Educational Insights Review or the company are my own and were not influenced by the company. My kids would love the temperature charts… they love that stuff. Awesome giveaway! We’d love the GreenThumb Classroom Greenhouse, too! Thanks for this amazing giveaway – I would love to win! My family loves board games and Heximania looks like fun! My kids would love to have the Classroom Jeopardy for homeschool review. My child would like to have classroom jeopardy. My son would love the Dino Checkers! Classroom cafe dining set is pretty fun! My daughter would love the How and Why Science Exploration Kit. My son would love the Design & Drill® Activity Center. The Temperature Charts look fun! I would love to have the Phonics Pad! My daughter is in speech classes right now this would help so much! Another product they’d like is the Hydroponics Lab. They would love the Everyday Uses Rock & Card Set. I liked the spinning wheel for games. My niece would love the GreenThumb Classroom Greenhouse. I spend a lot of time outside gardening, and she recently has taken an interest in gardening as well from watching me. She’s been trying to grow her own flowers and veggies. Sneaky Snacky Squirrel Game – Yes! As soon as I saw, “Go Nuts” I knew my son would love that! He “goes nuts” every day! And the game looks fun! My kids would like the Picture Perfect Mosaics set. My family would enjoy the geo safari sea scope. I would love to have the World Foam Map Puzzle, as we have been doing a lot of mapping. thank you for the wonderful giveaway!! Love the GreenThumb Classroom Greenhouse! My son would love the Teachable Touchables. My boy would love the GeoSafari Sonic Sleuth. I like the How and Why Science Exploration Kit ! We also like the Magic Show 75 Tricks Set. We could also use the “Geo Safari Talking Globe”. I thinkt the GeoSafari AntZone is something my grandson would really like. GeoSafari® Jr. BugWatch™ She loves bugs. i hate them… but she loves them. My kids would love to have their Bank AmeriKid ATM. would love the USA foam map puzzle for my kids – I homeschool, so I’d love all this stuff! My son would love the Everyday Uses Rock & Card Set. My daughters worst subject is math so I would like to get the Big Money Magnetic Coins and Bills. My daughter would love the Playfoam® Creativity Kit! There are so many things on this website my son would love. But I think I would like to have that Classroom Jeopardy, that would be great for his classroom! I think all the kids would enjoy playing that. VersaPegs would be really cool also. I love the Sneaky Squirrel game! My kids would enjoy the Playfoam® Combo 8-Pack! BLURT! WOUld be fun for all ages. I love their rockets, and my daughter would too! I would love to have theHOt Dots! Looks awesome! They’d love to have the Loud & Clear Microphone! Best wishes and thanks for this fabulicious giveaway!